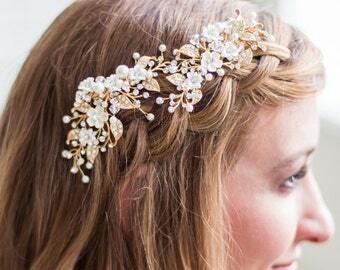 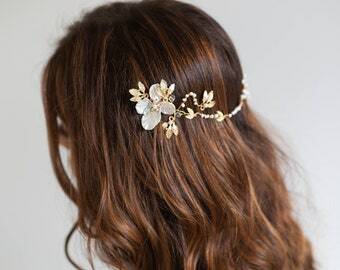 Pretty Gold or silver flower crown/halo. 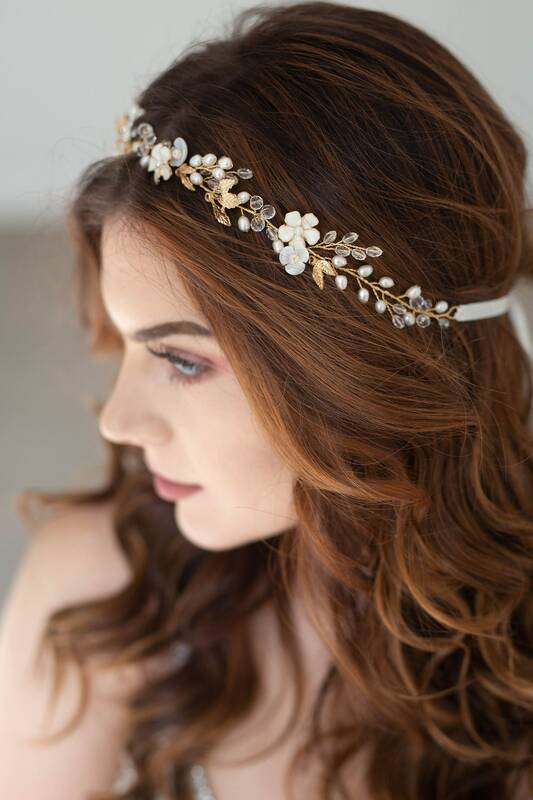 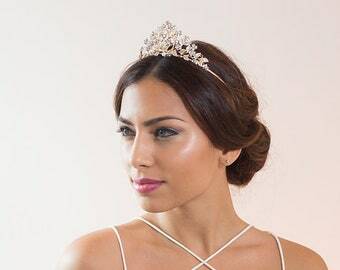 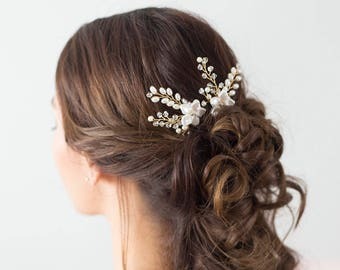 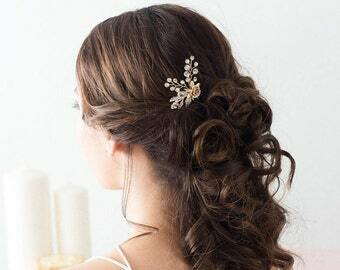 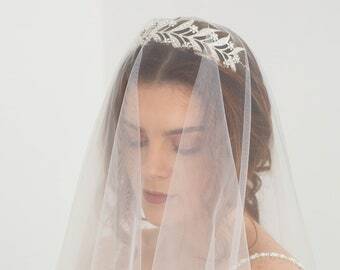 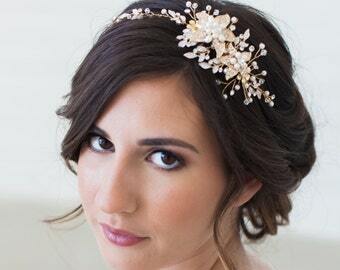 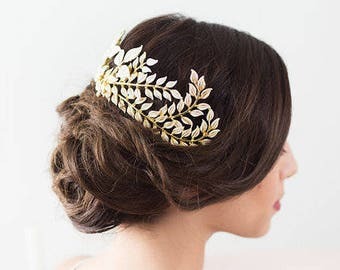 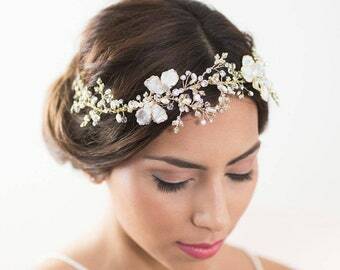 This design is has beautiful leaf accents, flowers, clear crystals, hand wired crystal twigs and branches - such a gorgeous and detailed headpiece. 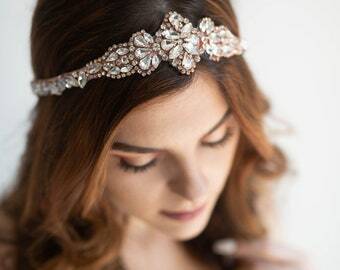 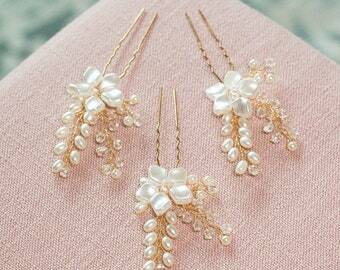 It's extremely flexible so you can wear it in so many different ways. 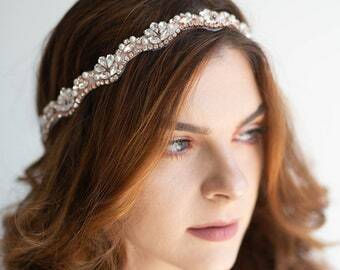 The last photos show how gorgeous this also looks as a bridal belt. 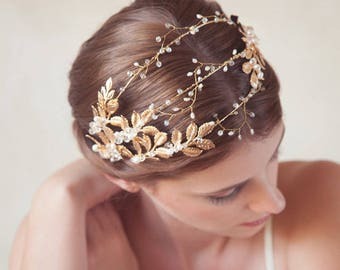 If you need another color other than the included light ivory ribbon please send me a combo so we can discuss options.